Here is a comprehensive guide to help you understand how your Calcium Score could be an important indicator of your risks of suffering from a heart attack. Your Calcium Score can be found after performing a CT scan of your heart. This score is calculated by measuring the quantity of calcium that is present in the arteries that take blood to your heart, also known as the coronary arteries. The purpose of the Calcium Score is to give you an idea of how much atherosclerotic plaque is present in your arteries. This is a good indication of your risks of heart disease. If you have a high Calcium Score compared to other individuals in the same age range, you might be at high risk for a stroke or a heart attack. We highly recommend getting a heart scan if you are a man over the age of 45, even if you do not experience any symptoms. W also recommend a scan for women over the age of 55 with a Framingham Risk Score that indicates a risk for heart problems. The study mentioned above suggests that even individuals who are not at high risk for heart problems need a scan to see where they stand and make corrections in their risk behaviors. If you have relatives who suffer from heart problems, you need to be tested even if there are no other factors that increase your risks of a heart attack or stroke. It is very important to get your Calcium Score if a close relative such as a sibling suffers from heart disease and if the condition appeared early. What does your Calcium Score mean? This score ranges from 0 to thousands. If your score is 0, there are no deposits of calcium in your arteries and you are at low risk for heart problems as long as you do not smoke. This is valid for the following two to five years. 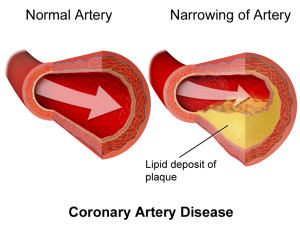 If you have a score above 4000, there is plaque present in your arteries and you are at risk for a heart attack over the following 10 years. If your score is above 1,000, you have a 25% chance of getting a heart attack in the following year if you do not follow an adapted treatment. There are no known differences in Calcium Score and risks for heart problems between ethnic groups. Your age is important when determining what your score means. For instance, an individual who is 40 or older and who has a score of 50 is at high risk. On the other hand, an individual who is 80 years old and who has the same score is at a much lower risk since their plaque has been building up at a very slow pace and has taken 30 years to reach the same level that was observed in the 40 years old patient. Your doctor will make some recommendations that include adopting a healthier diet if you have a high score for your age. Taking medications and making some changes to your lifestyle might also be necessary. Your doctor might prescribe medication to lower your blood pressure or cholesterol levels. If you have metabolic syndrome, diabetes or prediabetes, exercising is needed to reduce your risks of suffering from a heart attack. This procedure is quick and non-invasive. The CT scan only takes a few minutes and no dye is needed. You will have to lay down on an examination table and simply wait for the scanner to pass over you. You will not have to get another scan for at least five years if you have no calcium deposits. Your doctor will probably recommend that you get another scan within three to five years if your score shows that you are at risk. You will be exposed to radiation during the scan, but the amount of radiation does not exceed what you would be exposed to during a mammogram. The type of CT scan performed to calculate your Calcium Score is different from a CT angiography, a type of scan that requires the use of dye and that is riskier since a larger dose of radiation is needed. CT angiogram scans are sometimes overused or lead to unnecessary procedures such as cardiac cauterization, angioplasty or bypass surgery.